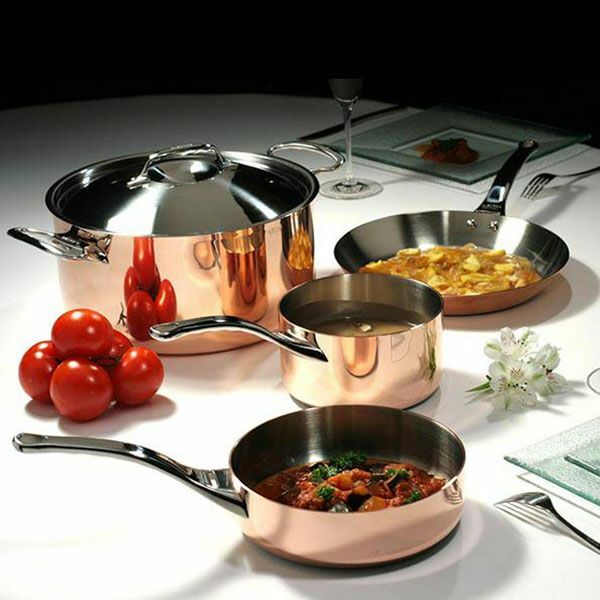 The utensils in the PRIMA MATERA range are 90% copper and 10% stainless steel on the inside. Copper is the best heat conductor and ensures a perfect heating circuit throughout the entire container. It provides exceptional cooking performance on any cook top, including induction, through the special iron-magnetic stainless steel INDUCTION bottom.